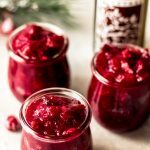 Spice up your charcuterie board or dress up your holiday dinner table with this orange cranberry relish. This sponsored post is in partnership with Olive Tree. All thoughts and opinions expressed herein are my own and not influenced by the company and its affiliates in any way. 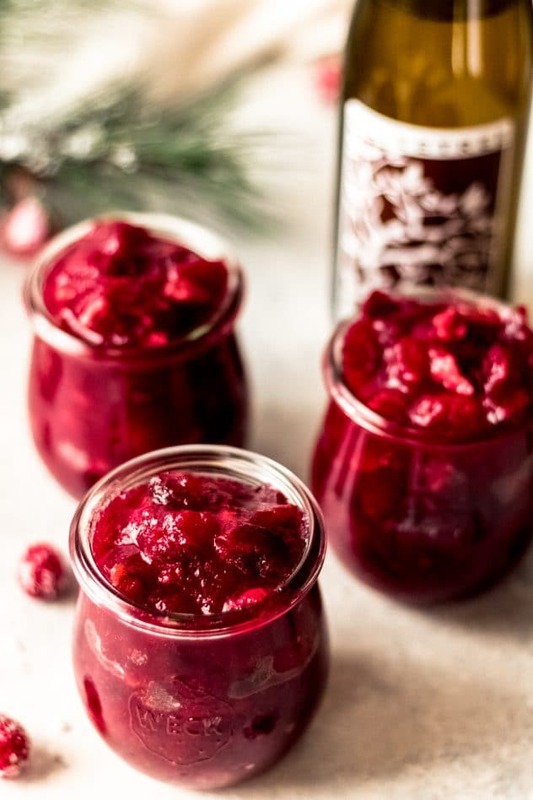 Move over jellied cranberry sauce; there’s a new, fresh recipe in town. 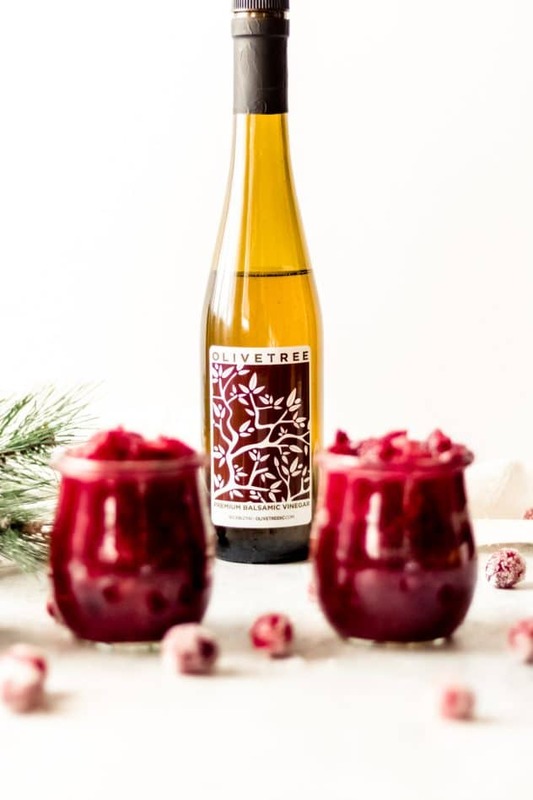 In partnership with our friends at Olive Tree in Kansas City, we’ve created this orange cranberry relish, made with fresh cranberries, pecans, orange zest, and their cranberry pear balsamic vinegar. 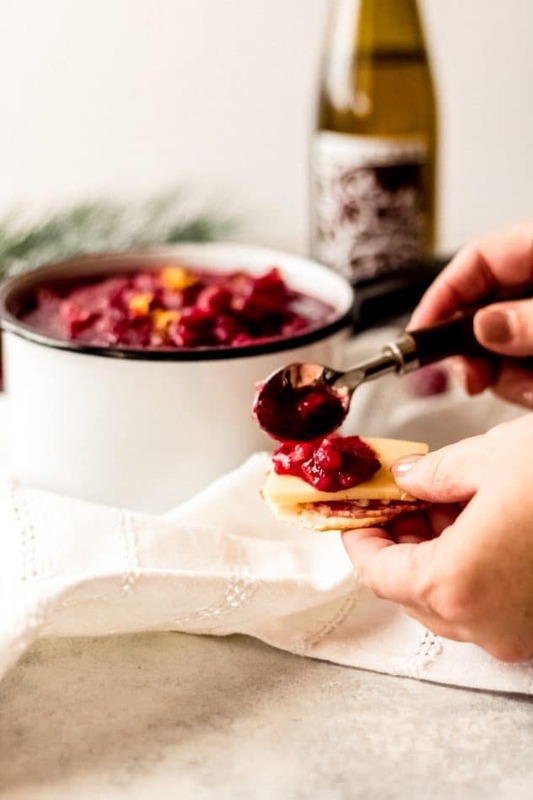 This relish is perfect for dressing up your charcuterie board; it pairs perfectly with sharp cheese, or dress up your holiday table with the relish as a side dish. How do you make orange cranberry relish? 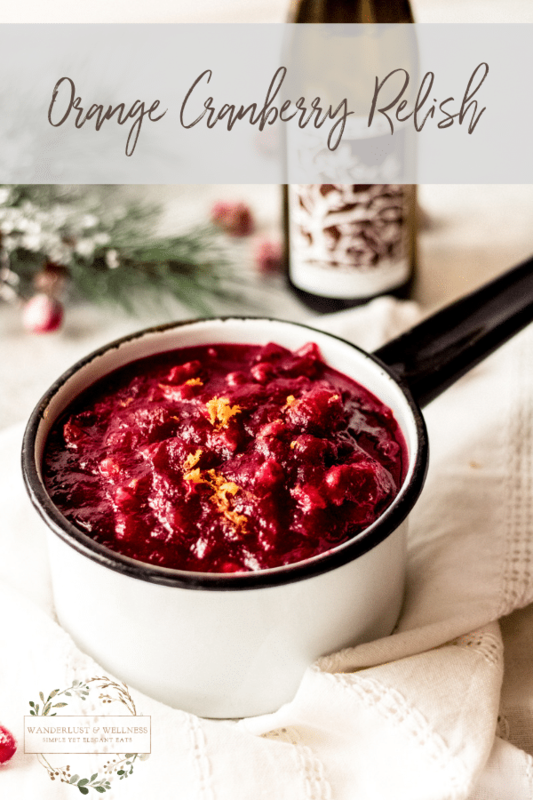 Making homemade cranberry relish is a very simple process. Simply wash your fresh cranberries and add them to a saucepan. Next, you’ll add in your sugar, water, and fresh orange juice. To soften the cranberries for the relish, you’re going to bring this to a slow boil and boil for about 3-4 minutes and then reduce heat and simmer for about 20 minutes. The cranberries will begin to soften and pop while the sugars allow the mixture to thicken. Lastly, you’ll add in the cranberry pear balsamic vinegar and orange zest and let simmer for a few more minutes. Finally, add in the chopped pecans, and your relish is ready to serve. Balsamic vinegar is a reduction made from pressed grapes, typically Trebbiano or Lambrusco grapes. Olive Tree features high-quality balsamic vinegar that come from Modena, Italy. Their flavored vinegars are only flavored with natural ingredients and have no added sugar. The cranberry pear balsamic vinegar used in this recipe is thick and sweet, just as true balsamic vinegar should be. It also gives a nice punch to the orange cranberry relish. How is orange cranberry relish used? Orange cranberry relish can be served as a condiment or as a side dish. It would pair well on a charcuterie board alongside various sharp or aged cheese. On the main dinner table, the relish can be served as a side dish to enhance your poultry or pork dishes. 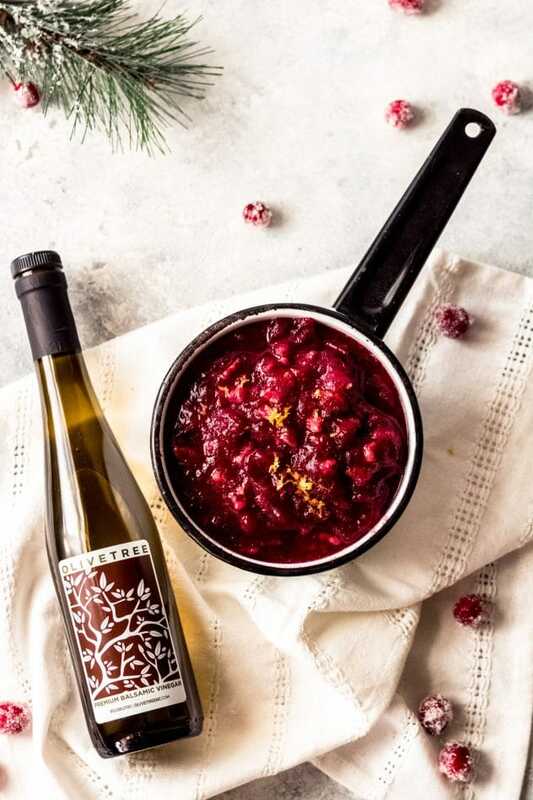 How would you serve this orange cranberry relish this holiday season? 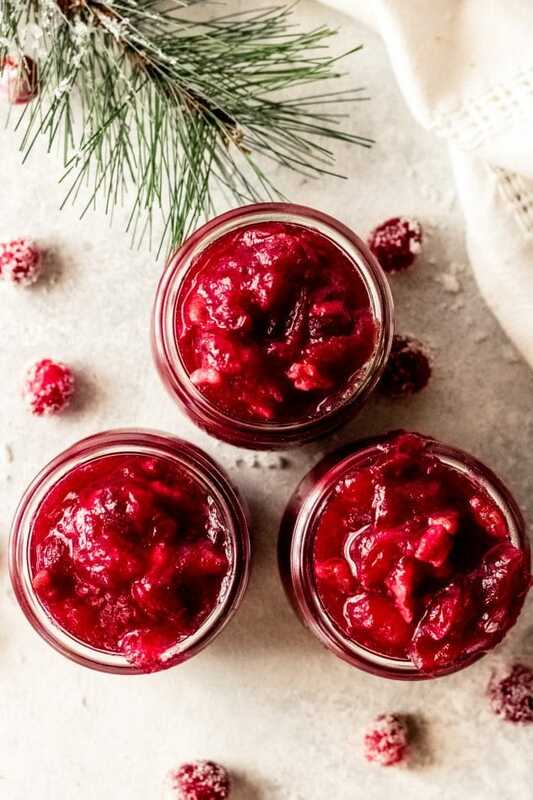 Elevate your holiday cranberry game with this orange cranberry relish, made with fresh cranberries, pecans, orange zest, and cranberry pear balsamic vinegar from Olive Tree. Rinse the fresh cranberries and add to a large saucepan. Add in the cranberry pear balsamic vinegar and orange zest and simmer for another 1-2 minutes. Remove from heat and add in the chopped pecans. This looks so great, the photos are beautiful! I love that this uses a little vinegar in it! Such a comfortable, but different way to add a subtle change to a holiday standard. This will be perfect for Christmas dinner. Thank you, Lauren! The vinegar adds the perfect amount of sweet + tart to accompany the fresh cranberries. I hope you enjoy!